With the election in early November, the nation and the Great Lakes region saw big changes. The majority in the House flipped from Republican to Democrat and our region moved from five Republican governors and three Democrats to six Democratic governors and two Republicans. But more than red versus blue, we need to think green and how bipartisan support in the new Congress can protect clean and safe Great Lakes water for all people. Earlier today, the Alliance released its 2019 Federal Priorities for Congress. We develop an annual policy agenda that outlines action items for Congress to protect the Great Lakes and the communities that depend on them. We are committed to making sure Great Lakes protection stays top of mind with our elected officials in Washington, D.C. No matter what else is going on in our nation’s capital, clean water should be a top priority. During the webinar, Alliance President and CEO Joel Brammeier, Vice President of Policy Molly Flanagan, and Policy Director Crystal Davis answered attendees’ questions, discussed the climate in D.C. and how it impacts the Great Lakes, and provided an overview of the top Great Lakes issues in 2019. And they shared how you can get involved, including writing to Congress advocating for the 2019 Federal Priorities. To learn more, download our 2019 Federal Policy Priorities or read on for a summary. And, if you missed our webinar, check out the recording. Invasive Asian carp were first detected in the Illinois River in the 1990s and have moved steadily closer to Lake Michigan ever since. If Asian carp reach Lake Michigan, the voracious eaters will have a devastating effect on native species, the $7 billion per year fishing industry, and the $16 billion recreational boating industry. In 2019, the U.S. Army Corps of Engineers will deliver its Chief’s Report to Congress with recommendations for additional Asian carp protections at Brandon Road Lock and Dam near Joliet, Ill. The lock is a logical choke point in the river system where the Corps is recommending installing Asian carp control measures to keep the fish from moving closer to Lake Michigan. Congress and the Corps must ensure that funding is available in fiscal year 2020 for the next phase of the project – preconstruction, engineering and design. Congress must also authorize construction of structural protections at Brandon Road to keep Asian carp from advancing any further and ensure that these protections are built as quickly as possible. More than 70 percent of all combined sewers, which collect both sewage and storm water runoff, in the United States are located in the Great Lakes region. Sewer overflows during heavy rain events lead to raw or poorly treated sewage being dumped into the lakes. Capital investment needs for the nation’s wastewater and storm water systems are estimated to total $271 billion over the next 25 years. The Clean Water State Revolving Fund provides communities with funding for wastewater infrastructure. We urge Congress to dramatically increase the amount of funding available through the Clean Water State Revolving Fund to at least $5.1 billion. We also support prioritizing funding for financially distressed communities in the form of grants via the Fund. Bipartisan support for the federal Great Lakes Restoration Initiative (GLRI) has resulted in significant on-the-ground results in all eight Great Lakes states. The GLRI supports efforts to clean up toxic pollution, restore fish and wildlife habitat, combat invasive species like Asian carp, and prevent polluted runoff from farms and cities. We urge Congress to fully fund the GLRI with at least $300 million annually. The U.S. Environmental Protection Agency, the Clean Water Act, and the Great Lakes Restoration Initiative, National Oceanic and Atmospheric Administration, U.S. Fish and Wildlife Service, U.S. Geological Survey, U.S. Army Corps of Engineers, and others that uphold Great Lakes protections and administer important programs were targeted for steep cuts in the President Trump’s proposed budget last year. The programs these agencies manage are the fundamental building blocks of the largest land and water restoration effort undertaken in the Great Lakes in generations. We urge Congress to support the work of these agencies individually and collectively in order to protect and restore the Great Lakes. In 2017, the American Society of Civil Engineers gave our nation’s drinking water system a “D” saying that much of our drinking water infrastructure is nearing the end of its useful life. According to the American Water Works Association, an estimated $1 trillion is necessary to repair, replace, and expand drinking water distribution systems over the next 25 years. We urge Congress to provide at least $3.5 billion to the Drinking Water State Revolving Fund, which is triple the amount provided in FY18 appropriations. We support policies that ensure access to safe, clean, affordable drinking water for everyone in the country. We encourage progressive payment systems that support long-term infrastructure investment without crippling low-income households. And we support the establishment of a federal low-income water and sewer assistance program that is similar to the Low Income Home Energy Assistance Program, to help low-income households afford their water and sewer bills. In August 2014, nearly a half-million people in communities around western Lake Erie experienced drinking water bans ranging from two days to more than a week as a result of toxic algae. Runoff from agricultural land is the largest contributor to pollution in western Lake Erie, the area most impacted by this pollution. We urge the Great Lakes states and U.S. EPA to adopt a Clean Water Act total maximum daily load, or TMDL, for phosphorus and nitrogen pollution for the western Lake Erie basin. And, we urge Congress to support a variety of funding programs that can help reduce runoff from agricultural lands including full funding for Farm Bill Conservation Programs, water quality monitoring and reporting programs in Lake Erie and Green Bay, and the Land and Water Conservation Fund. Your voice, along with thousands of others around the lakes, is the power behind our Great Lakes protection efforts. Now is the time to speak up. Write your Members of Congress today and tell them to protect the Great Lakes. 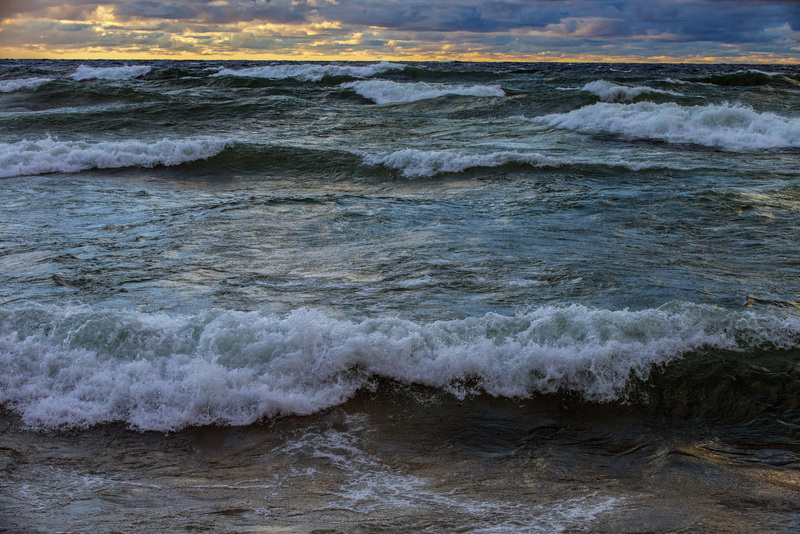 40 million people rely on Great Lakes Water. Tell Congress to Protect it.